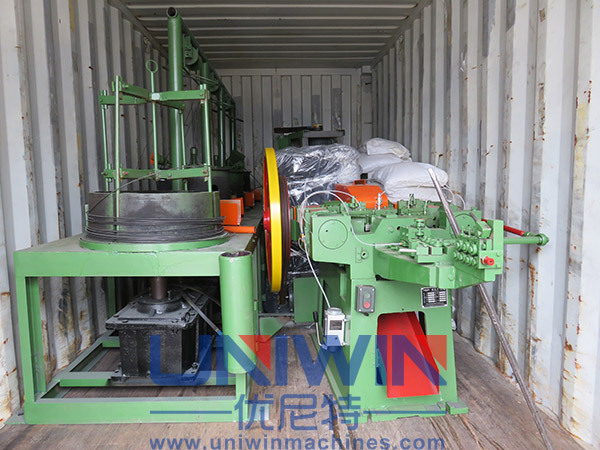 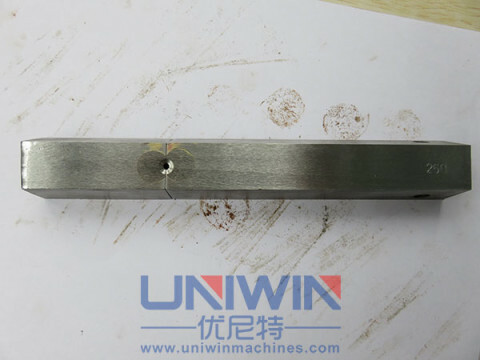 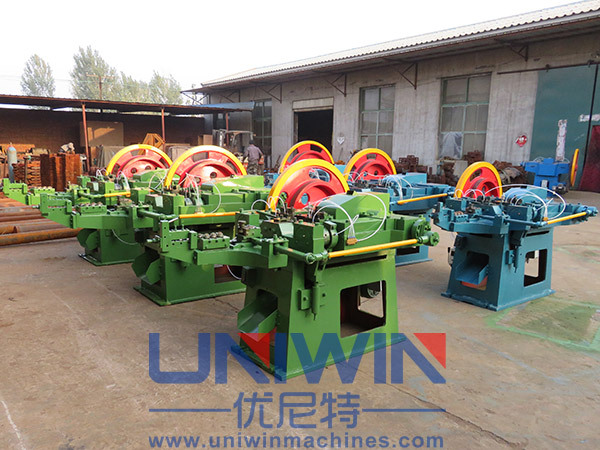 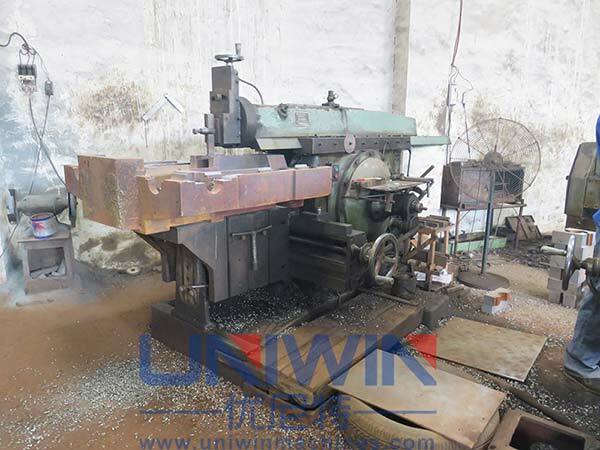 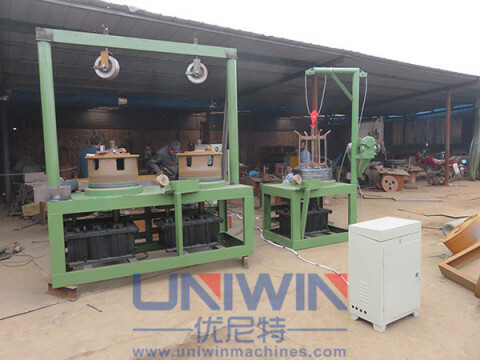 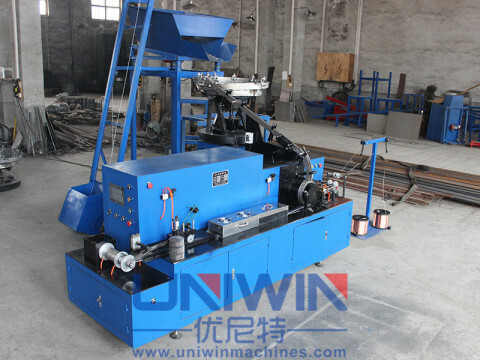 The Uniwin brand nail making machine is designed to make 1-6 inch wire nails . 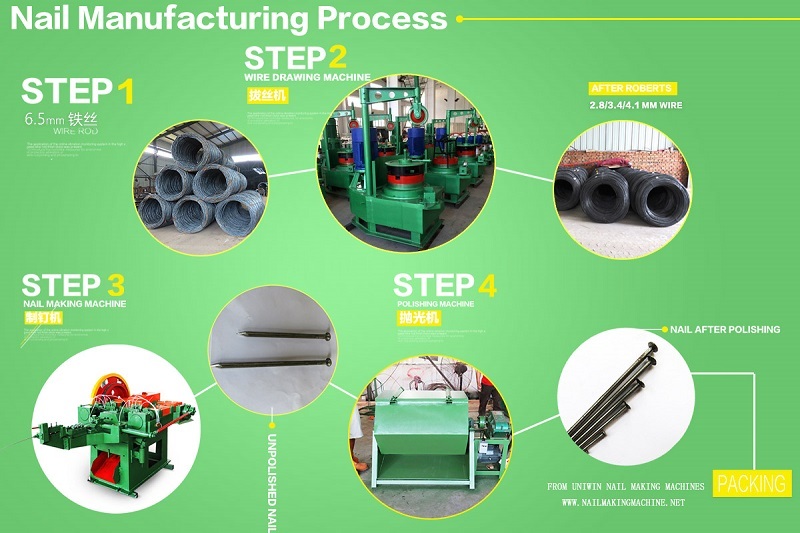 Ie draw the raw material of wire rods of 6.5mm or 5.5mm diameter(usually 2-3 tons per coil) ,to small wire coils (200-300 kg per coil) of diameter such as 4.5mm,4.1mm,3.4mm,2.8mm etc needed for making nails by the wire drawing machine ,after this ,put the small wire coils on a wire reel ,from which the steel wire was feed into the nail making machines to make nails ,after the nails is cut by the nail making machine,it needs to polish the nails to remove the iron dust on the nail shaft and make it become bright and good looking ,then packaging . 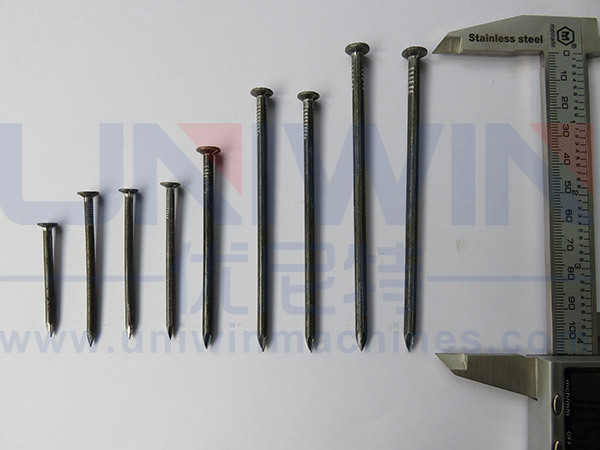 Common nails made from this testing ,after polising ,the black nails will become bright and shine ! 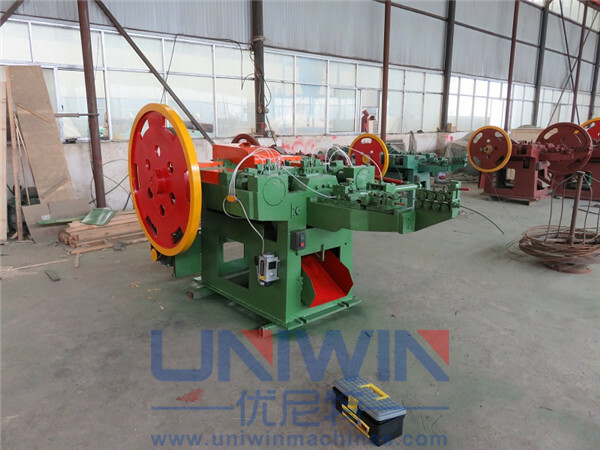 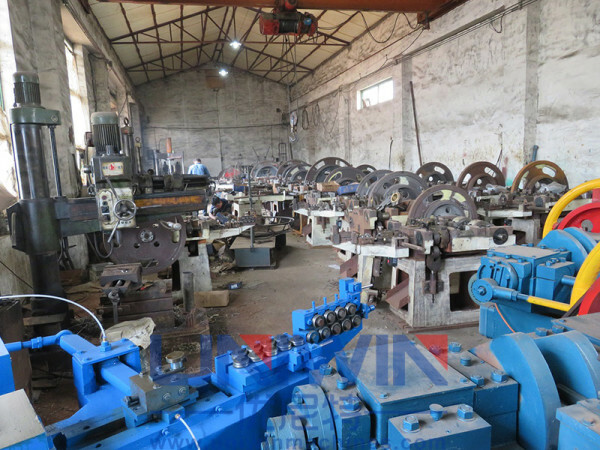 We can paint the nail machines according to the customer’s requirements. 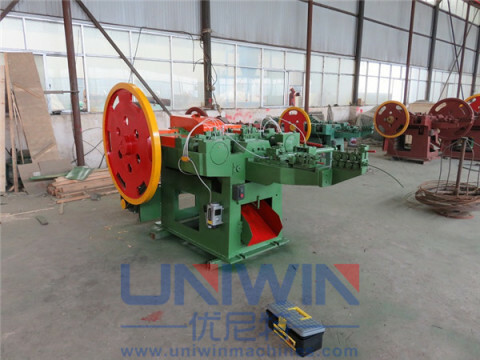 Profession makes you success ,welcome to contact us for more info about the nail making business !